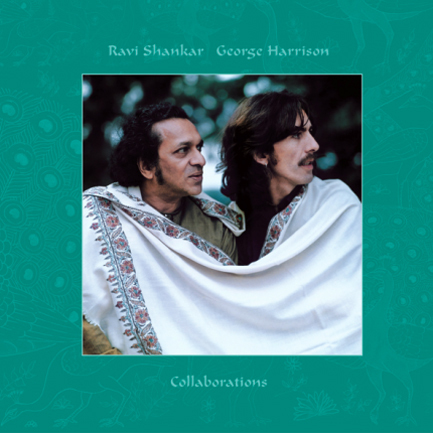 George Harrison – Final Live Performance? 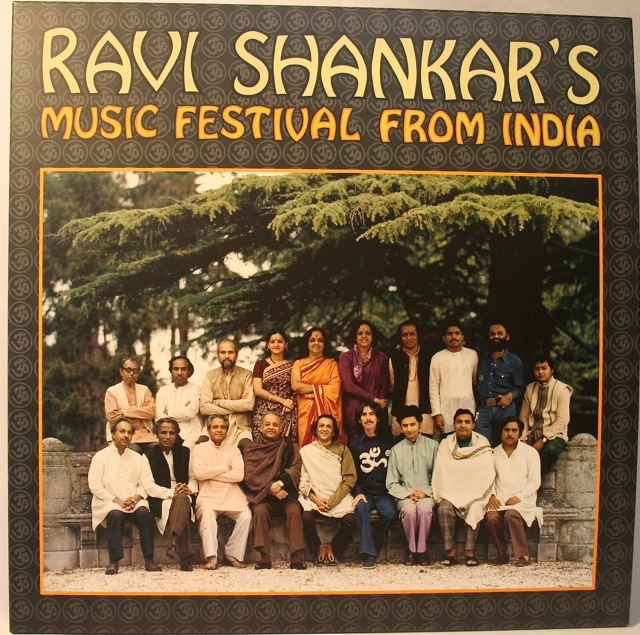 Surfing the Internet today we came across this YouTube clip. 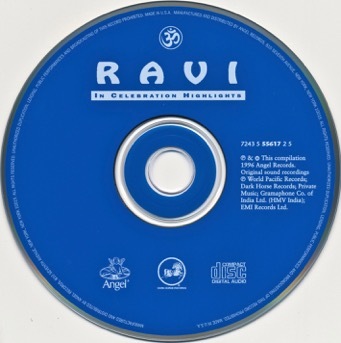 It’s from the VH1 cable TV channel in the US – way back in 1997. 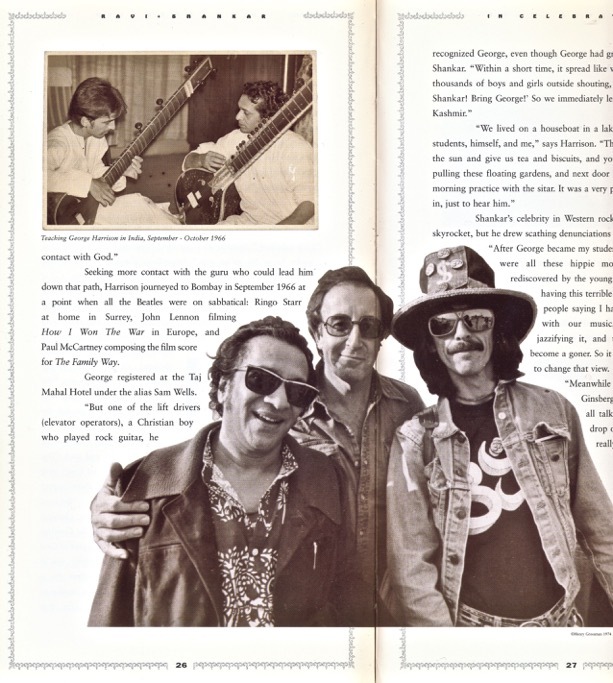 VH1 put the interview together with some linking historical pieces and re-broadcasted it as part of their commemorations on the day of George’s death. 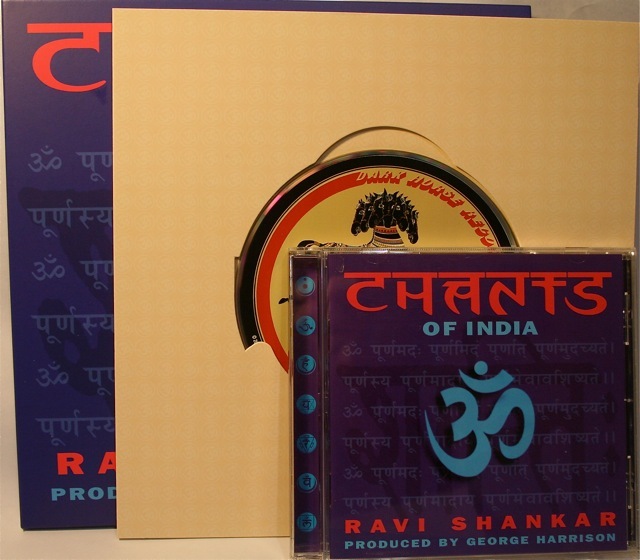 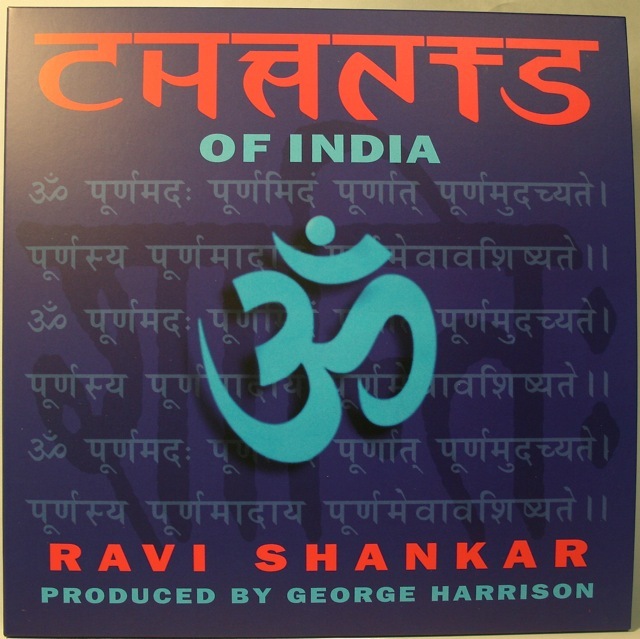 He was on the promo trail in 1997 with Ravi Shankar for the CD Chants of India (which George produced) and had dropped into the studio unexpectedly. 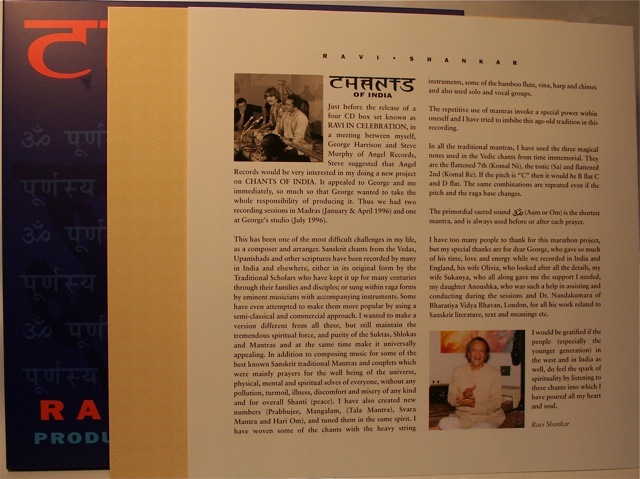 What unfolded was simply great seat-of-the-pants TV. 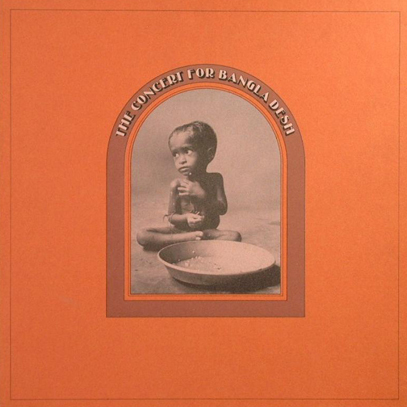 The opening lines of George Harrison’s “Bangladesh” song from 1971 are: “My friend came to me with sadness in his eyes, he told me that he wanted help, before his country dies…..”. 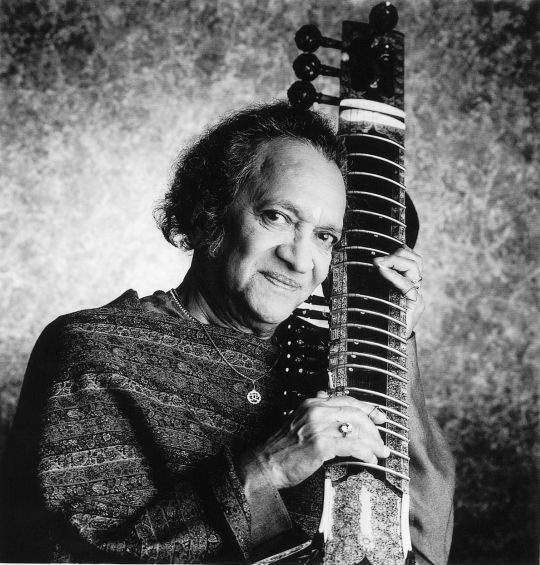 That friend was Ravi Shankar – Indian sitar virtuoso and legendary musician who has died today – aged 92. 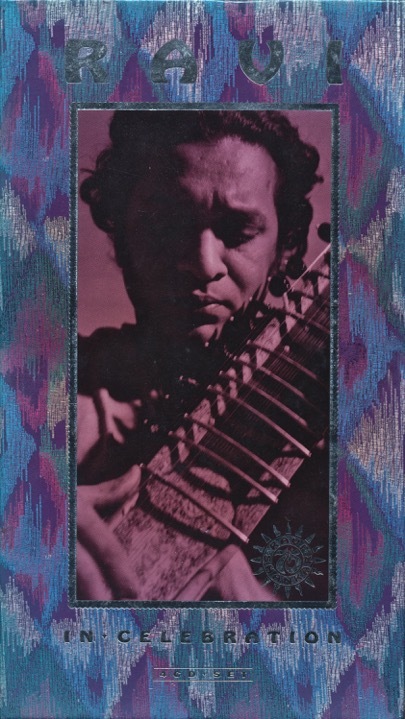 A statement on the musician’s website says he passed away in San Diego, near his Southern California home. 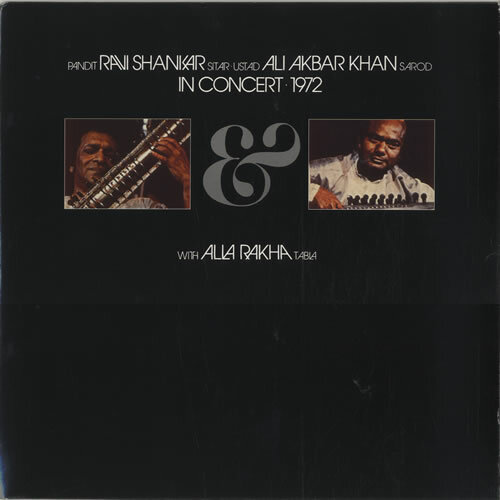 His foundation issued a statement saying that he suffered upper respiratory and heart problems and had undergone heart-valve replacement surgery last week. 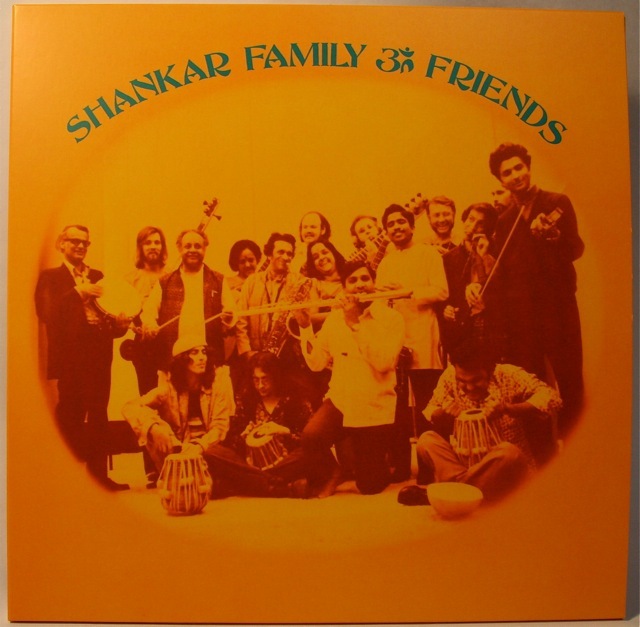 Indian Prime Minister Manmohan Singh also confirmed his death and called Shankar a “national treasure”. 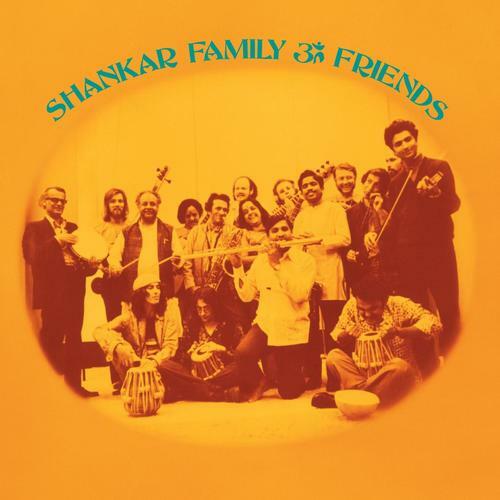 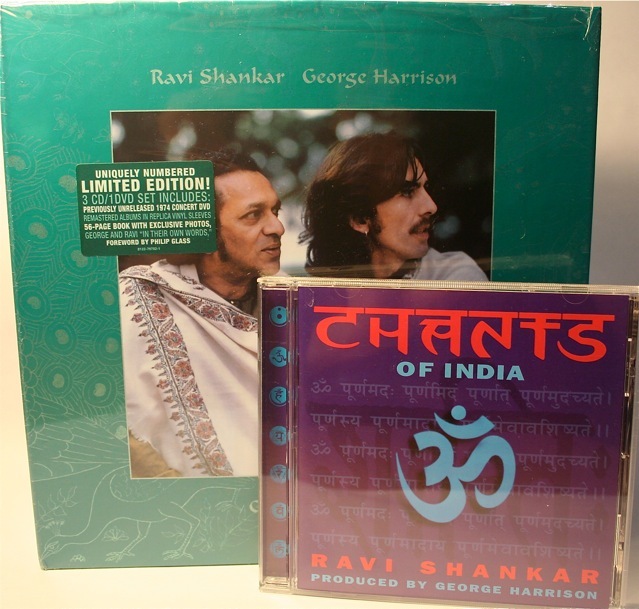 Labelled “the godfather of world music” by George Harrison, Shankar helped millions of classical, jazz and rock lovers (including me) discover the centuries-old traditions of Indian music. 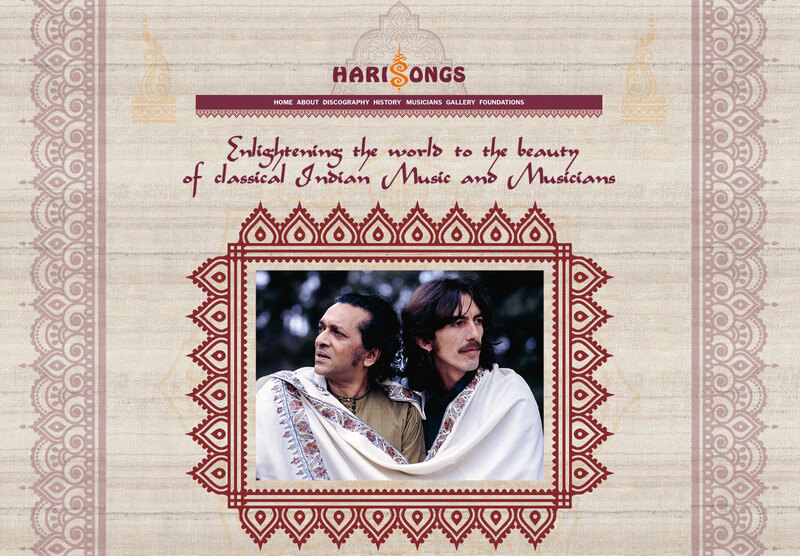 He became a teacher, mentor and father figure to Harrison and greatly influenced the Beatles music, from composition through to their fascination with India and it’s culture. 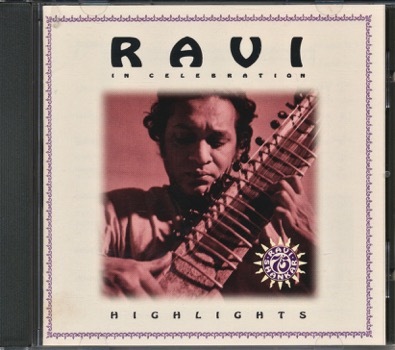 In recent years Ravi Shankar’s own record label EastMeetsWest Music has been steadily working through his back-catalogue and re-releasing his life’s work on CD, DVD, and digitally. 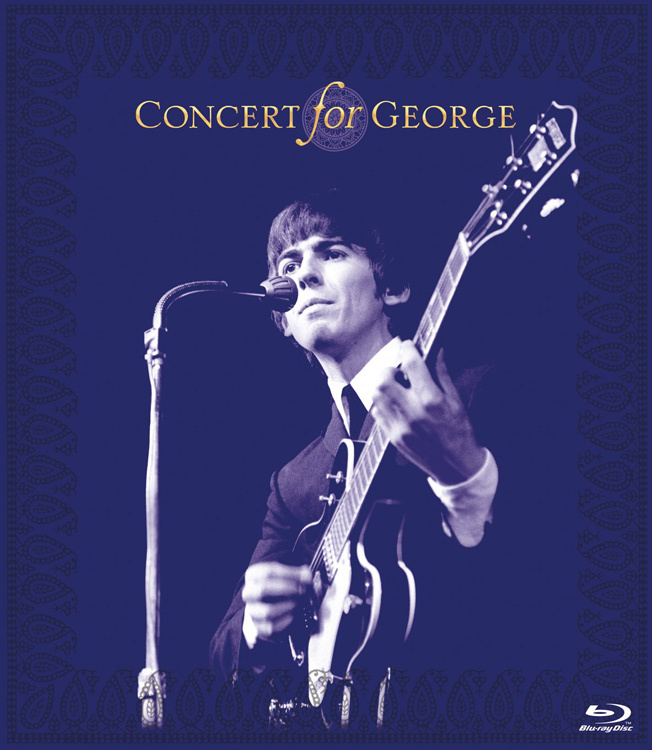 This week a new 2-disc Blu-ray version of “Concert for George” was released. 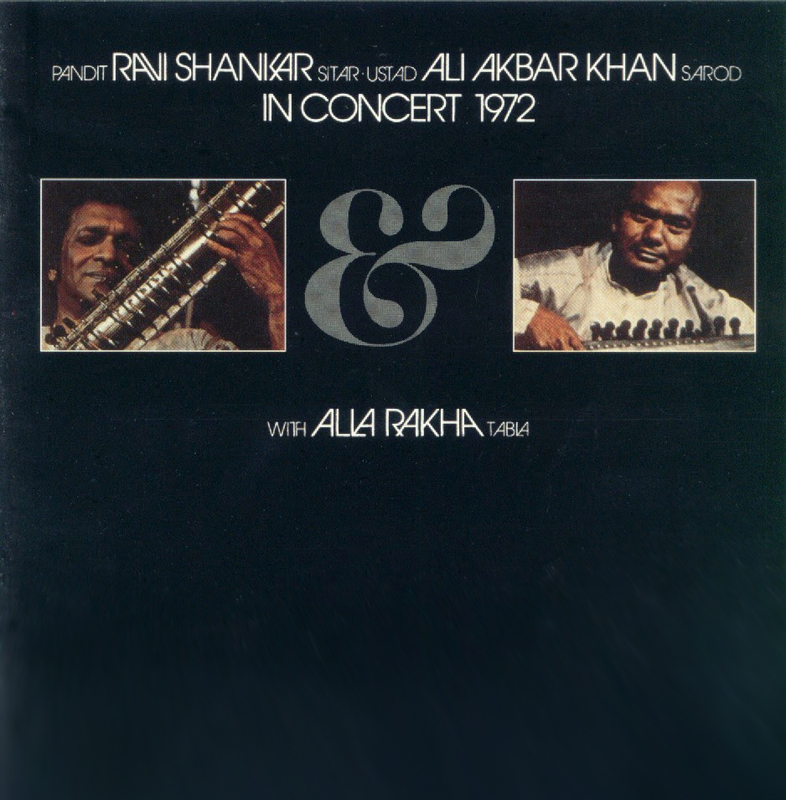 It’s the first time we get to see this spectacular memorial concert in all its true high-definition glory. 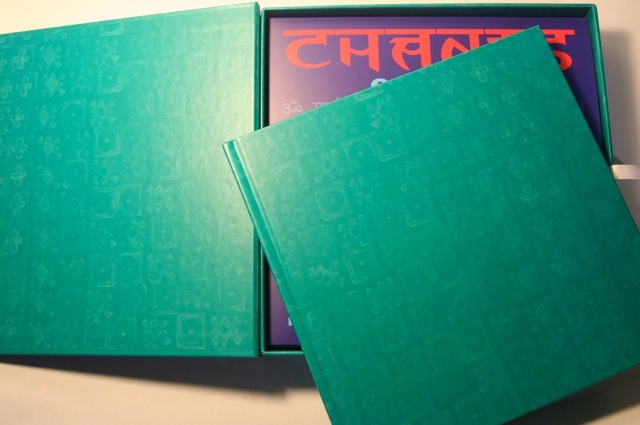 And you can win a free copy of the set – see below for details. 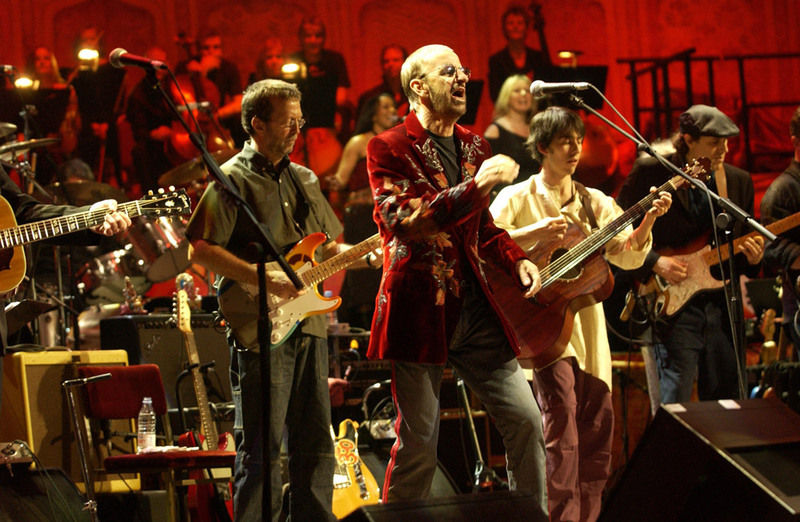 The “Concert for George” took place at London’s Royal Albert Hall on November 29, 2002 – one year to the day after the sad passing of George Harrison. 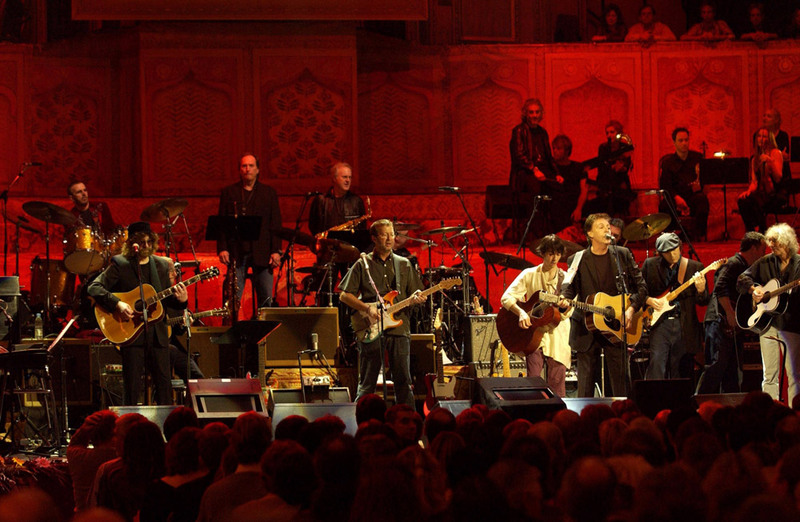 Olivia Harrison and longtime friend Eric Clapton organized a performance tribute in his honor. 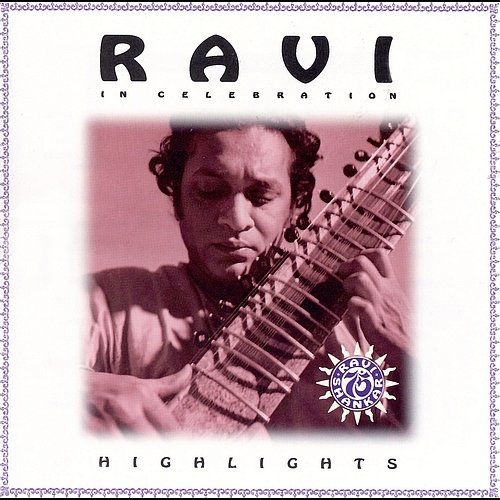 It was a celebration of his music on a number of levels. 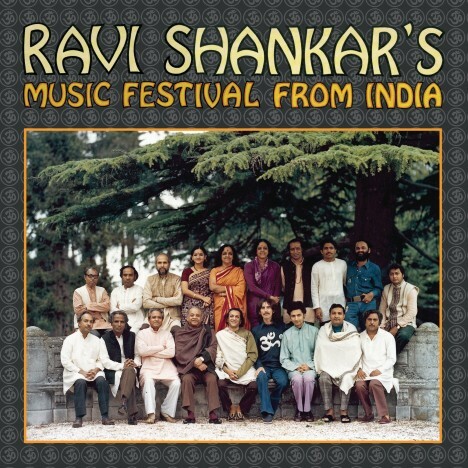 The concert begins with a spectacular Indian orchestra performance of a composition called “Arpan”, specially composed for the occasion by Ravi Shankar who was a friend and mentor to George since he first discovered Indian music and began incorporating it into his Beatles music in the mid-1960s. 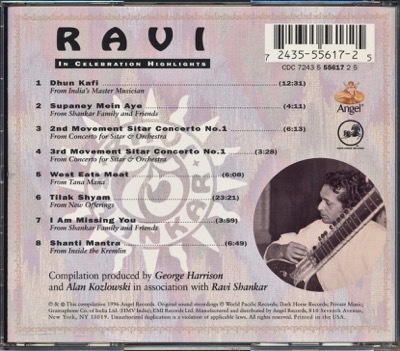 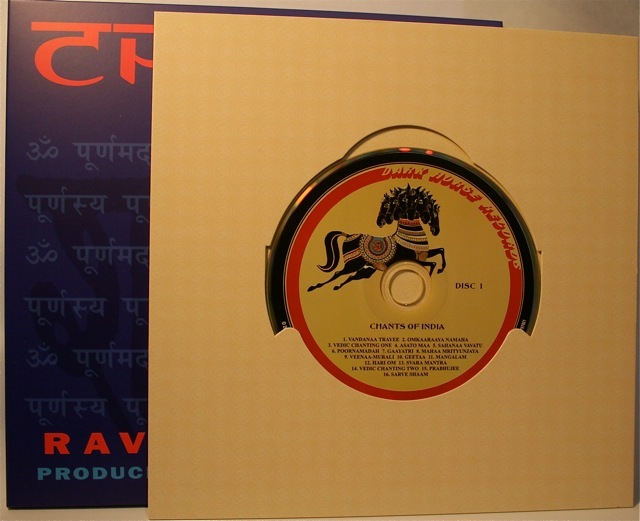 “Arpan” means offering and within the piece Ravi Shankar expresses aspects of George’s moods and spiritual aspirations. 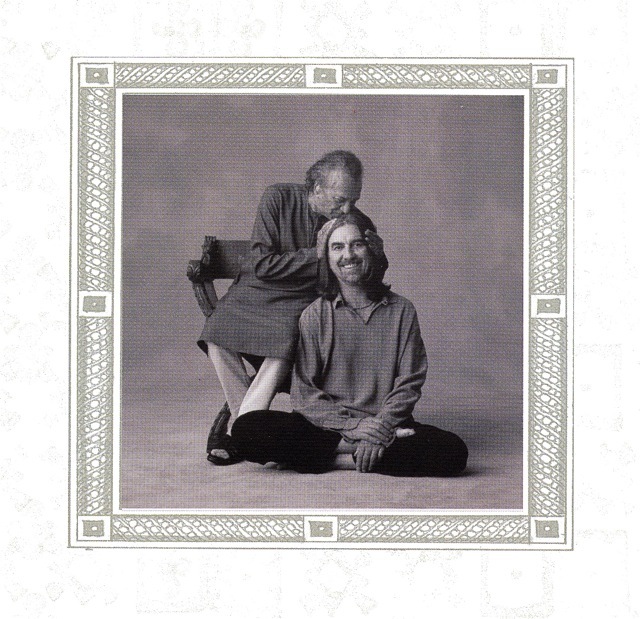 The work includes Eric Clapton playing a haunting acoustic solo. 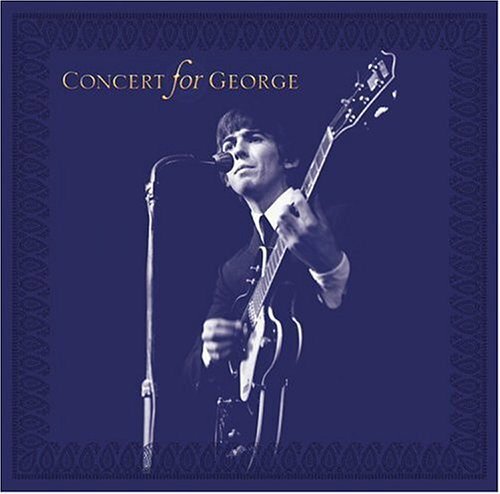 Disc One of the new Blu-ray “Concert for George” set contains the concert in its entirety. 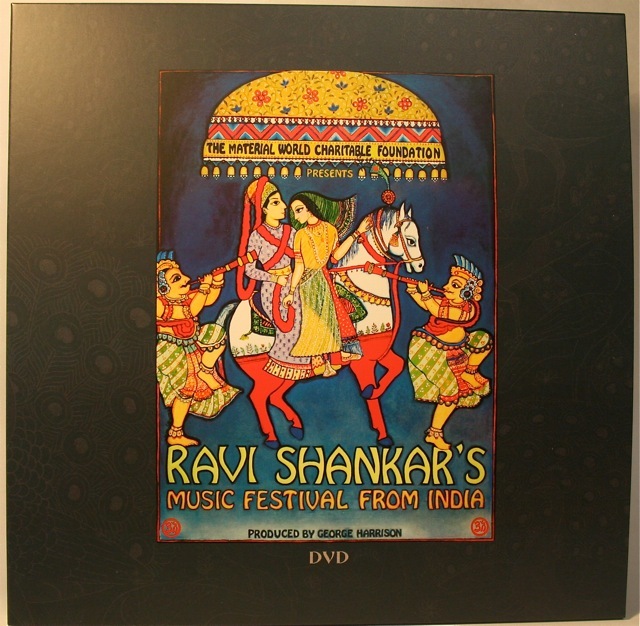 A second disc features the original theatrical version of the film. 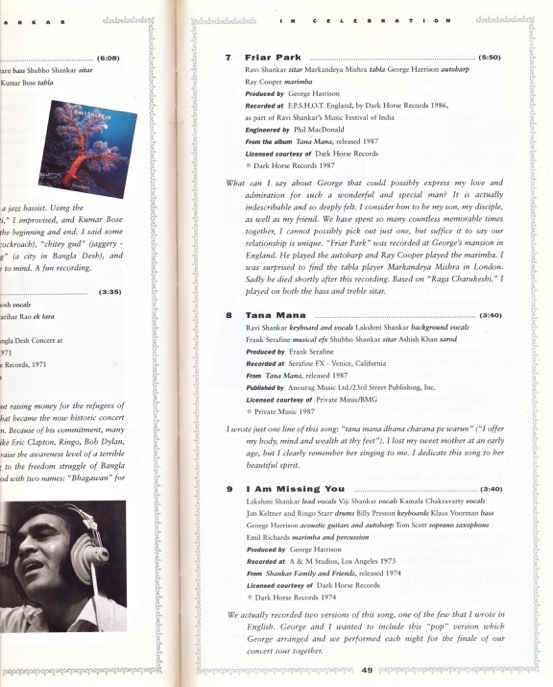 There are also concert highlights, interviews with the performers, rehearsals and behind-the-scenes footage. 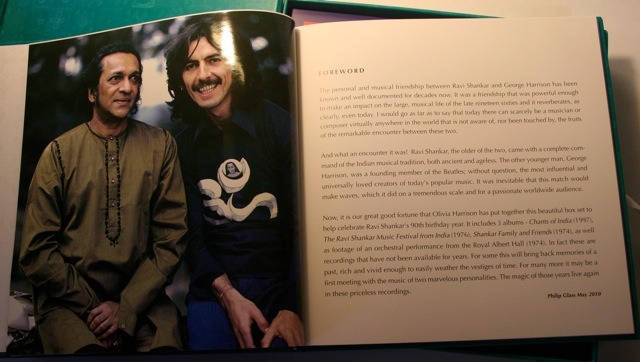 The second disc also contains a previously unreleased interview segment entitled “Drummers,” featuring Ringo Starr, Jim Keltner and legendary percussionist Ray Cooper. 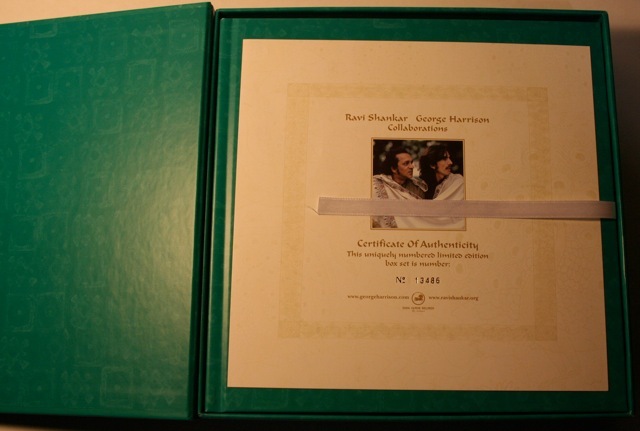 This very special evening featured many of George’s original compositions (both as a solo artist and as a Beatle) and the music he loved – all performed by a lineup including Eric Clapton, Jeff Lynne, Paul McCartney, the Monty Python team, Tom Petty, Billy Preston, Ravi Shankar and his daughter Anoushka, Ringo Starr, and George’s son Dhani Harrison. 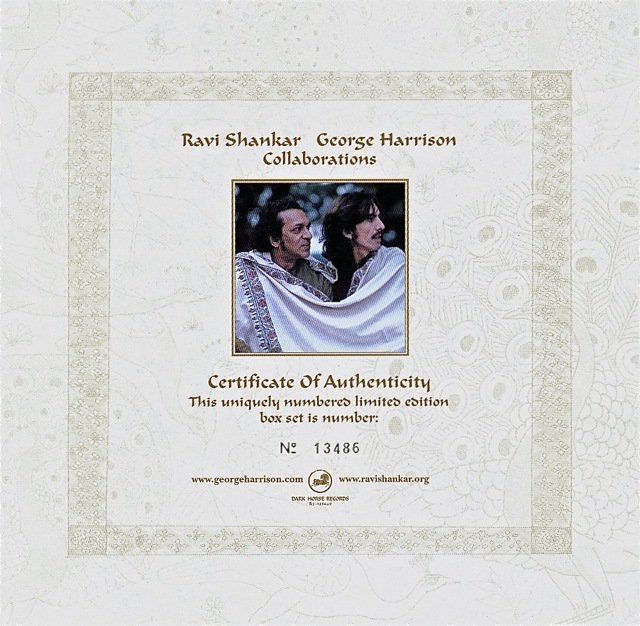 The concert focusses very much on George’s writing and features songs like “While My Guitar Gently Weeps” (with Eric Clapton on guitar, Paul McCartney on piano and Ringo Starr on drums), “Taxman” (performed by Tom Petty and the Heartbreakers), “My Sweet Lord” (by Billy Preston), “Old Brown Shoe” (Gary Brooker), and “The Inner Light” (covered by Jeff Lynne and Anoushka Shankar). 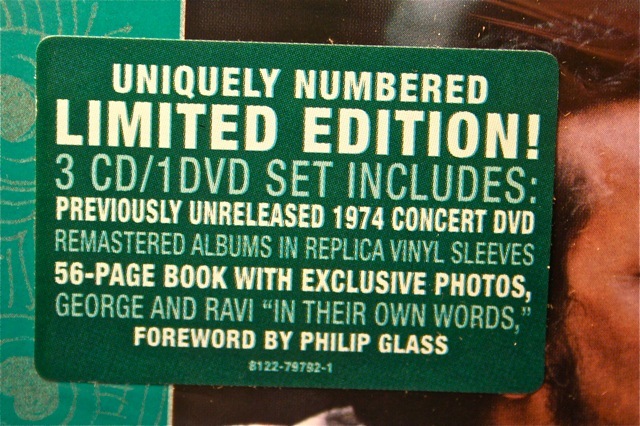 Jeff Lynne was George’s longtime friend and collaborator and he produced the recording of the concert, while Eric Clapton oversaw the entire proceedings as Musical Director. 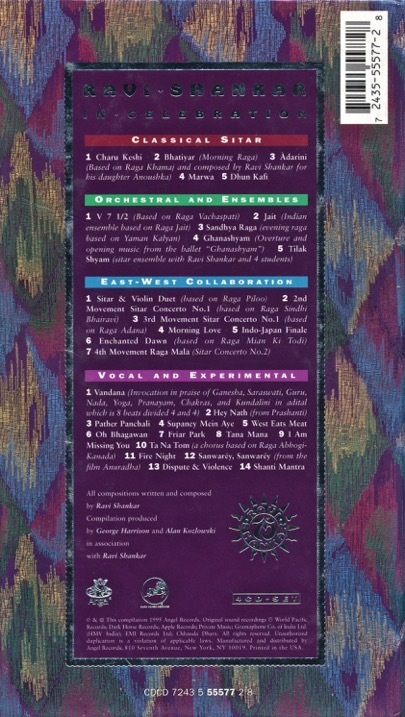 The concert film is directed by David Leland. 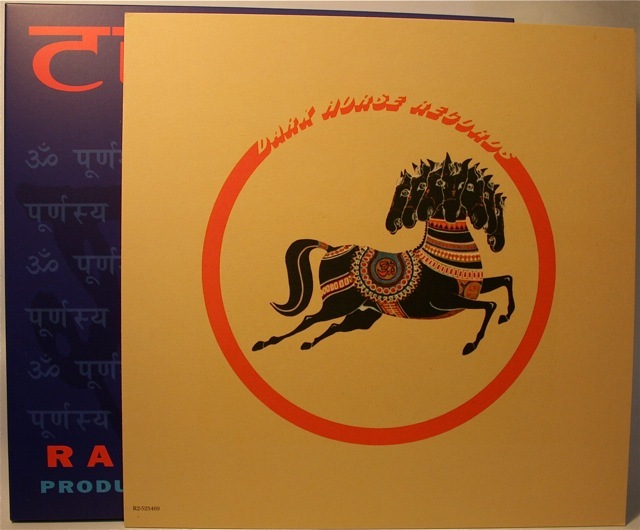 In the “Concert for George” singer Sam Brown (daughter of Joe Brown, who is also in the concert) performs a version of a George Harrison/Dhani Harrison composition called “Horse to the Water”. 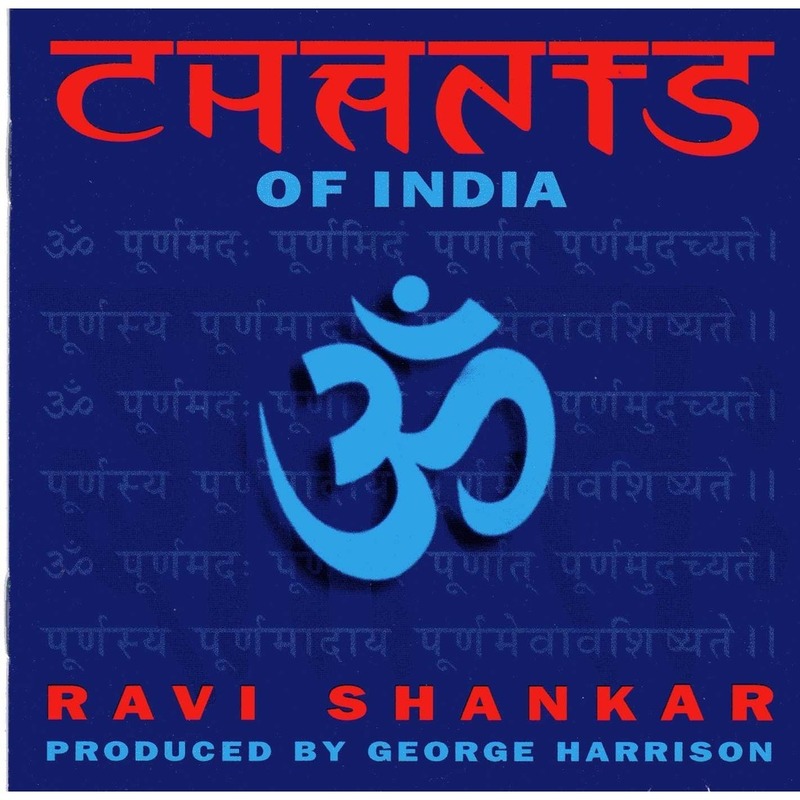 What is the name of the album on which this song was first released? 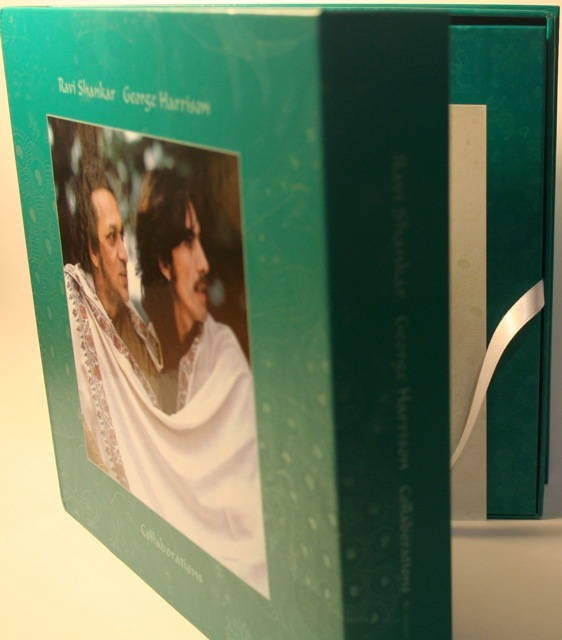 Its a little bit tricky but the first correct entry sent to my email address above will win a Blu-ray copy of the “Concert for George” set – released just this week. 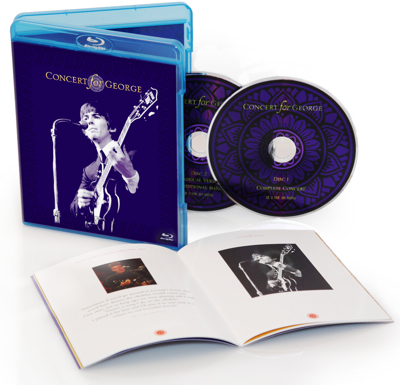 The “Concert for George” Blu-ray is courtesy of Rhino Entertainment. 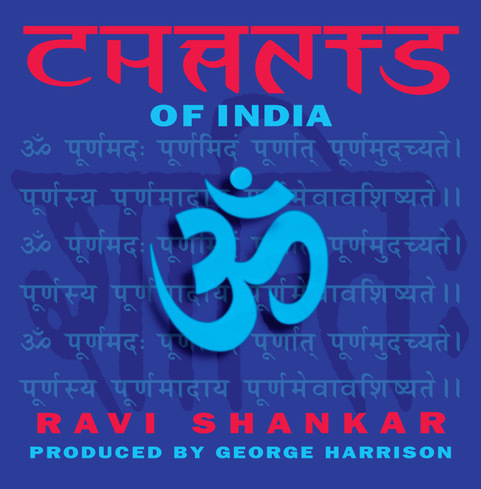 Here’s a promotional trailer for the film. 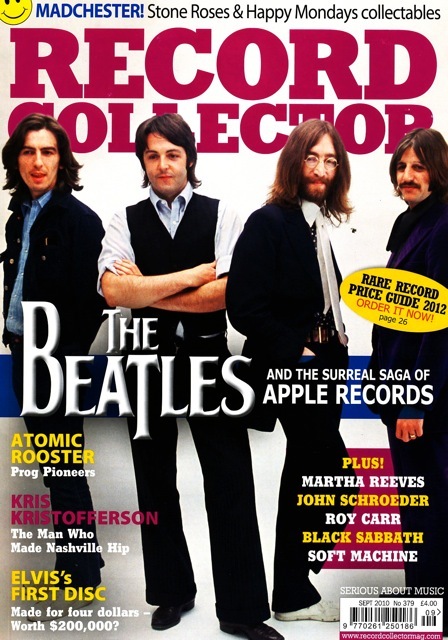 The articles included are “A is For Apple” – a salute “…to the Beatles’ final flourish of creativity”; an A-Z of the label and its artists; “The 2010 Re-Masters”, where Apple consultant Andy Davis talks about the 15 newly-remastered CDs released worldwide just this week; there’s a comprehensive Apple Records discography (complete with a price-guide for the rarities and not-so rarities); interviews with Mary Hopkin, Peter Asher, Patrick Olive (formerly of The Hot Chocolate Band), Jackie Lomax, and Joey Molland from Badfinger.